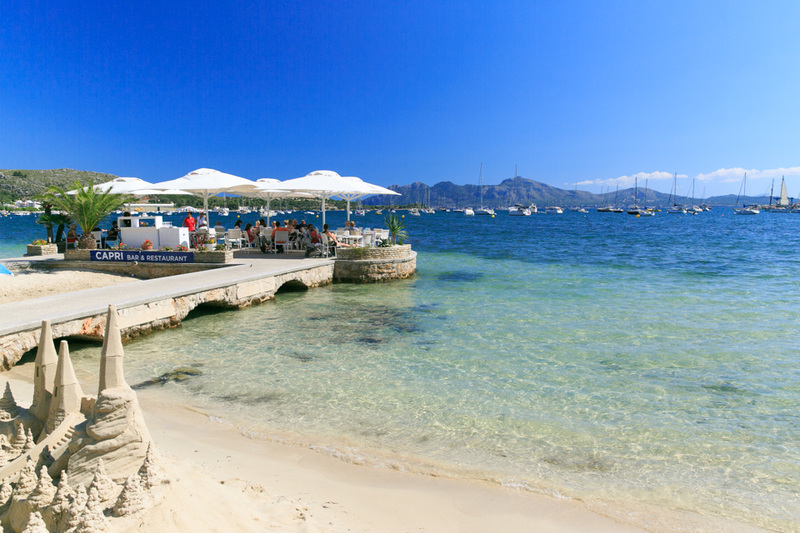 Villa Michaela is located in Pollensa on the Spanish island of Mallorca. This vacation rental property is air-conditioned and sleeps up to 6 people with 3 bedrooms, 3 bathrooms along with private swimming pool. Outside of this villa is a private pool, a covered dining area and a BBQ. Inside, there is an open-plan dining/living area with air conditioning and kitchen. There are three bedrooms: two double bedrooms with air conditioning and en-suite bathrooms with showers; and a twin bedroom with an en-suite bathroom with shower. Bedroom 3 has 2 single beds. En suite bathroom. 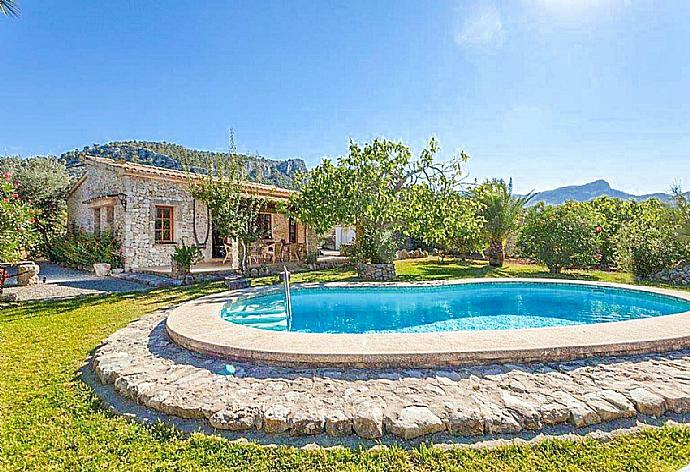 Villa Michaela can sleep up to 6 people. Absolutely awesome villa. 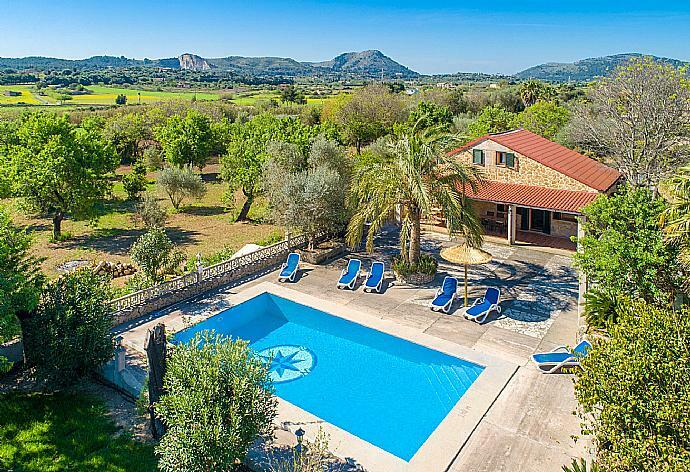 What an absolutely villa in Mallorca. The villa has absolutely everything you need for a comfortable stay? We love the garden and pool.. The area is lovely and we felt very safe? We would love to go someday soon again?. Lovely villa! Lots of room inside and large terrace and garden. Good-sized pool too. Nice quiet and private area that are well maintained by lovely owners. The villa is very well equipped with everything you could need. A really great place to stay! Welcoming and fully equipped house with 3 bedrooms and 3 bathrooms...... Nice garden with barbecue with covered ding area, and outdoor shower with swimming pool. 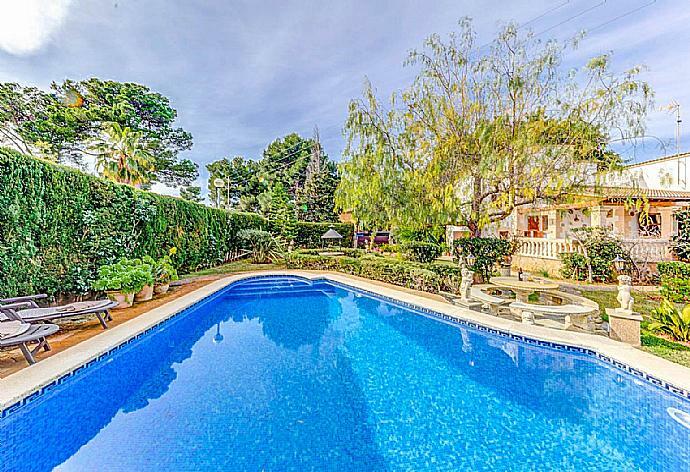 Great location not to far from Palma city. Car can be parked near the house. We hired a vehicle to get around which was an added bonus needed. The owner is a very friendly and helpful lady. Highly recommended! Private pool and Terrace we found at Villa Michaela. We have been going to Mollorca for the last 5 years and this is our 3 rd time in Villa Michaela. We highly recommend. Thank you Agni Travel. The Villa Michaela is very well situated. We appreciated, that each bed room has a bathroom. Unfortunately, we had bad weather. Impressive entrance and driveway. Lovely location, quiet and peaceful. We enjoyed having our own exclusive pool, just for us, made us feel special! We enjoyed the BBQ and beaches. Weather was a little cloudy at times, maybe we will go during the summer next time rather than at the end. Still, we enjoyed a lovely time. he villa is excellent in every way- very well equipped and maintained and close to sea front and has own parking space. The owners are very pleasant and helpful. Villa Tramps is a lovely house in pleasant grounds. It feels very private so was perfect for our relaxing week away. 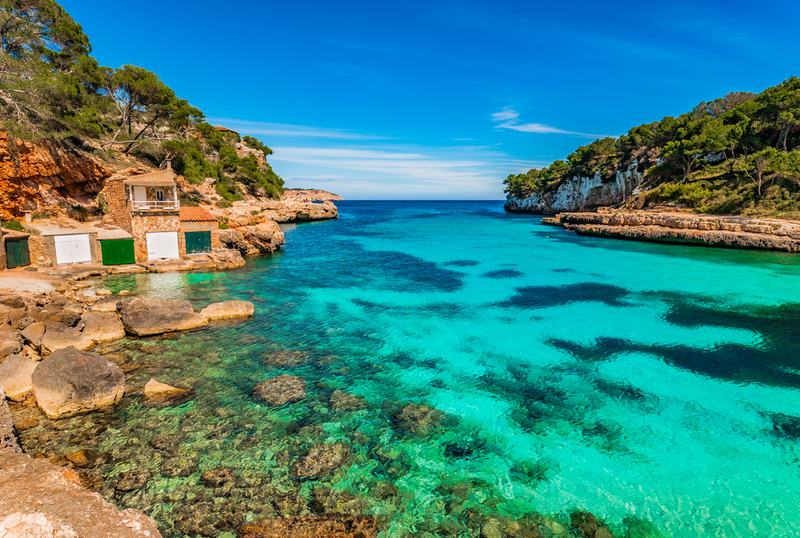 Also, I would like to say that Agni Travel were very easy to get hold of, both when we had questions prior to travelling and again when we were in Mallorca. Always polite and helpful. 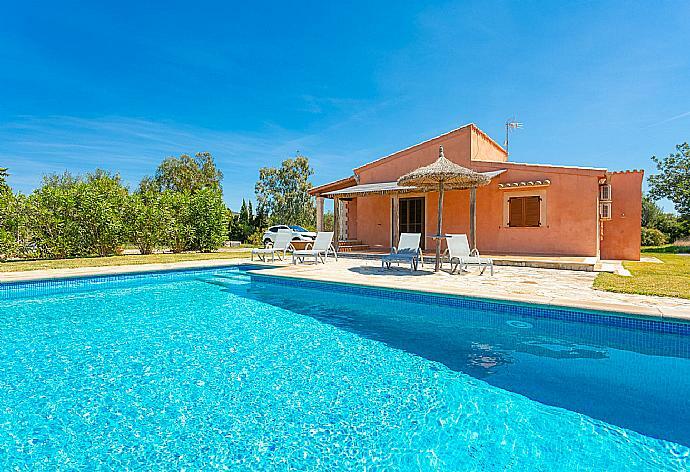 Villa Michaela was booked 2 days ago!